British Blue Cheese -From the top - Double Gloucester. 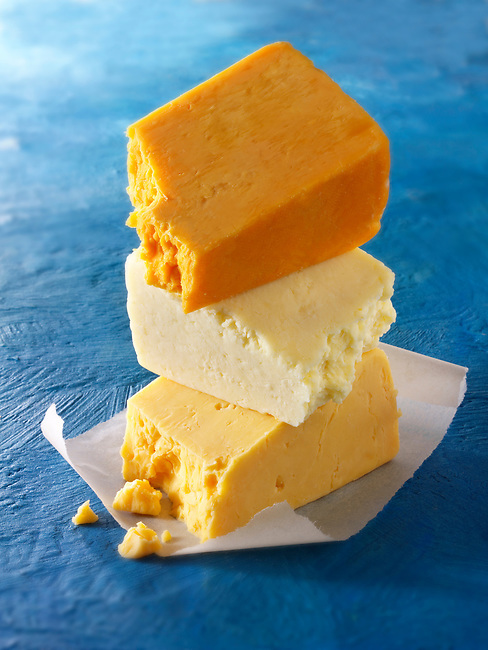 Lancashire, Red Leicester. Funky Stock Photos.